Interlaken Kindergarten has been an essential part of the Rosanna community for 50 years. 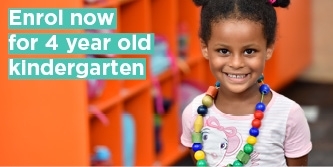 We offer excellent three and four-year-old kindergarten programs in a safe and secure environment where children can be themselves and enjoy kindergarten. We have created an emotionally warm and intellectually stimulating environment for the children. Our experienced and qualified educators have developed and implemented high-quality learning programs that provide children with the opportunity to grow and develop through play – the way children learn best. We encourage each child to make choices according to their interests and ideas and to guide their learning journey. Our educators adapt our programs to meet each child’s needs and developmental stage. We facilitate learning experiences through both individual and group-based activities. We aim to develop and extend children’s cognitive, social, emotional, physical and language skills. We also incorporate early literacy, numeracy, science, the environment, art and music, through to guided social play and free, unstructured playtime. Where possible, we arrange visits to the kindergarten from a range of outside organisations to present on topics of interest to the children. These activities are structured to help children reach their potential and to support a smooth transition to school. 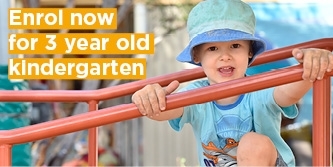 We are a proud community-based kindergarten, and we encourage families to take part the children’s learning programs. At Interlaken Kindergarten we offer a wide range of indoor and outdoor activities designed to meet the needs of each child. Our indoor and outdoor facilities offer children of all abilities a wide range of experiences that are both fun and challenging.